Get a Sneak Peek at Our Annual Appeal! We're hoping to send out our Annual Appeal email tomorrow, but you can get a sneak peek at the video right now! Tell us what you think! Tenelle and Taquanna are two of the 4,500+ people that PathWays PA serves each year. Through the our services, families get the support they need to go back to school, move into stable housing, and get good jobs. Whether you want to donate in your name or make a gift in honor of your loved one, our families need your help today. Donate now at Justgive.org or visit our website for more ways to give. 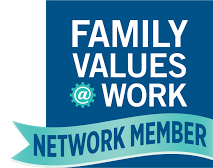 New iGive members only (never joined before).You must use our special link to join. And you must join before 12:01 a.m., Sunday, Dec. 14, 2015.You must shop at one of our over 1,700 stores (actually buy something, window shopping doesn't count, and neither do purchases at Amazon) by January 10, 2016. There are some great last minute holiday shopping deals at iGive. 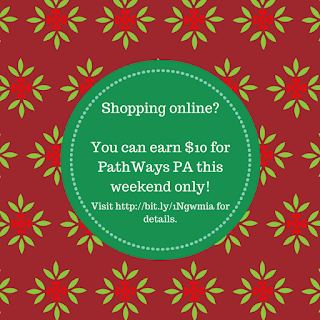 You can help PathWays PA at the same time as you save time and money. Every purchase you make will help, even after the bonus period ends.